How much do you know about Intense pinner Dean Lucas? 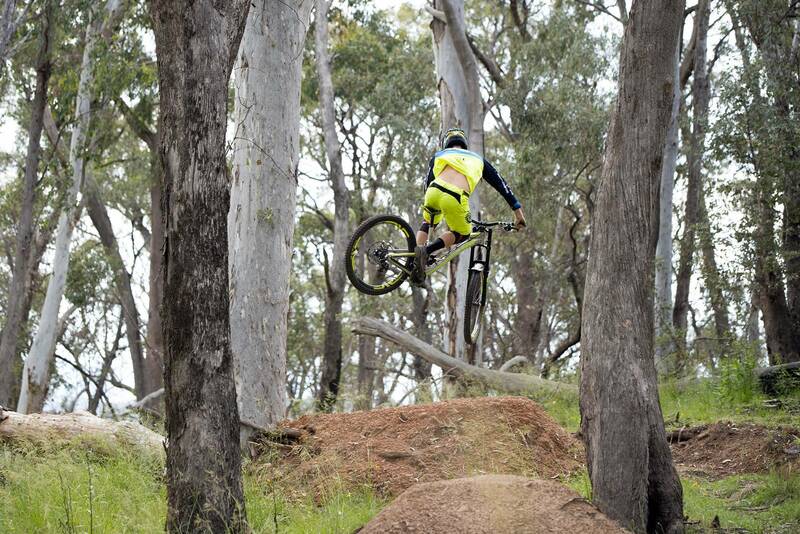 Matt Rouso caught up with the speedy Victorian over summer. 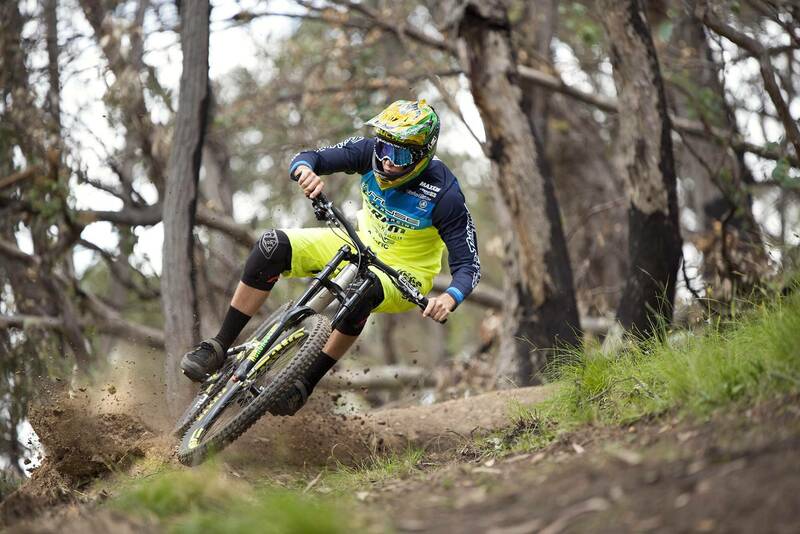 Dean Lucas (22) is a World Cup Downhill mountain bike racer hailing from the small country town of Wooragee in Victoria’s North East. 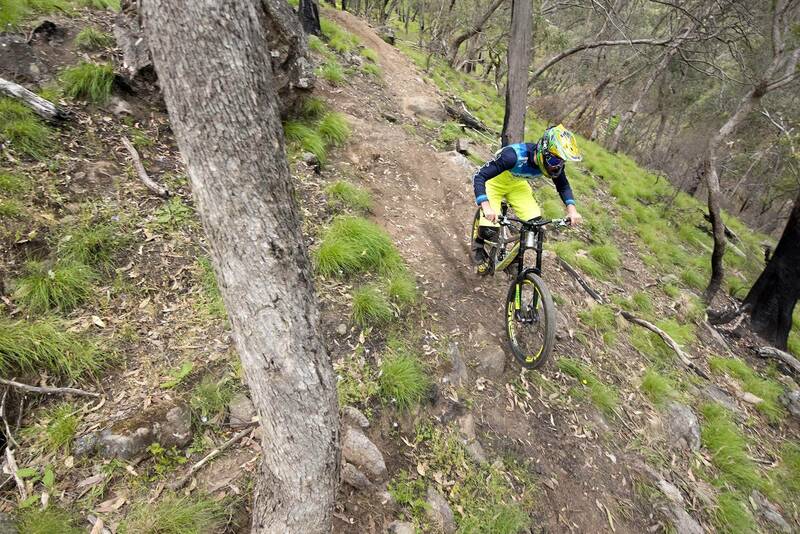 Growing up in that part of the world might not have everything, but it is surrounded by a bunch of Australia’s best Downhill tracks. 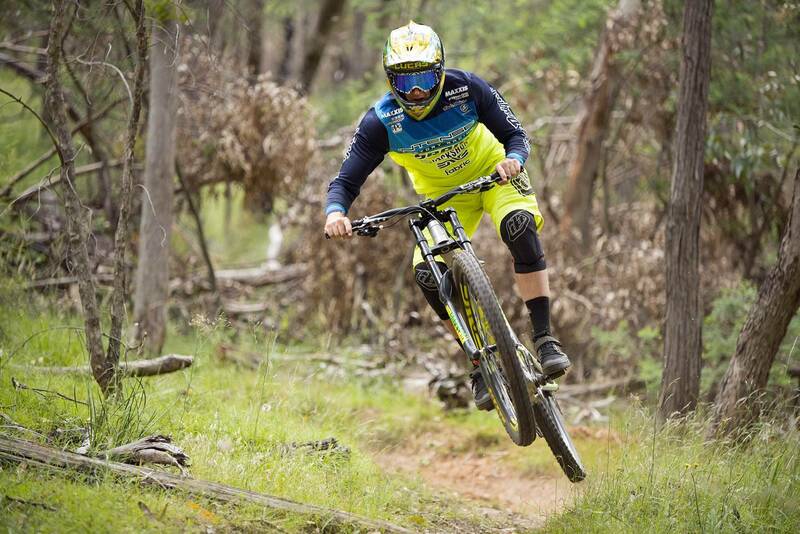 Dean began racing at a national level in 2007, since then he’s moved through the ranks to be one of Australia’s fastest Downhill competitors. He first began to turn heads in 2013 as a junior (Under 19) on the world stage. In that year, the UCI began to race the World Cup Junior Men’s category separately from Elite and Dean took full advantage of it with some stellar results: 1st at Val di Sole, Italy, 2nd in Mont Sainte Anne, Canada, 3rd in Fort William, Scotland and 5th at the World Championships in Pietermaritzburg, South Africa! His first two seasons as an Elite racer were up and down. But a memorable podium place in 3rd at Lenzerheide, Switzerland in 2015 boosted his overall place to 12th for that season. 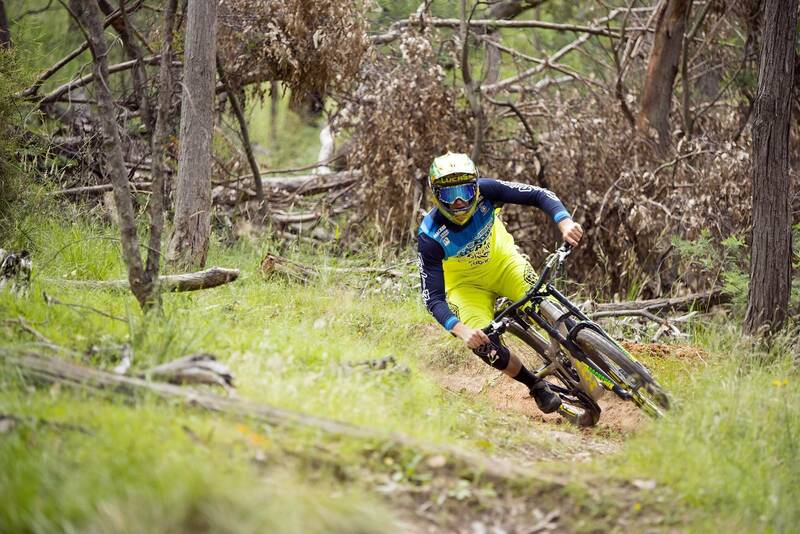 It was his consistency in the later half of 2015 that attracted one of the most recognisable mountain bike brands Intense Cycles to sponsor Dean and form a new era of Intense Factory Racing from 2016 onwards. 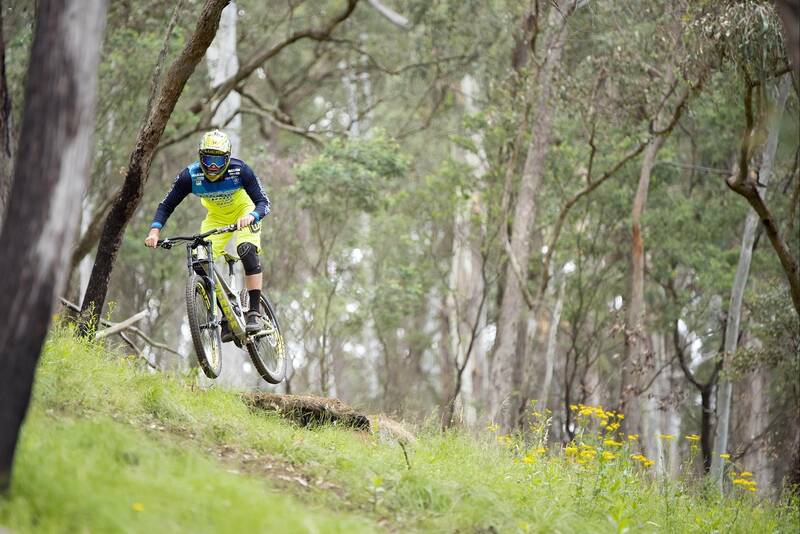 I travelled to a small hill near his childhood home Wooragee to catch up with one of the country’s fastest racers on a track he built himself! MR: So you’ve just signed on for another year with Intense Factory Racing. How has it been riding with that team? DL: "It’s been really good; it’ll be my 3rd year racing for Intense. My first year with them (2016) didn’t really go that great with a couple of injuries but they stuck by me and I started to perform better towards the end of that year. "I felt really good coming into 2017, but I also seemed to have a fair bit of bad luck with flat tyres and silly mistakes, I thought it was going to go the same as 2016. But by the end of the season I was racing faster than ever. Intense have been really good with all those low moments, they have supported me no matter where I was and focused on how to get me back up to speed." MR: It must be a massive help knowing that you have that kind of support, from the team manager to the mechanics and the backing of one of the best brands in the business? DL: "They know that you’re not going to always be on your best form and have focused on how to get me to perform. It’s awesome that we have a team camp before the season to test the new bikes and at the races they’ve improved the pit set up and our mechanics are awesome. We also have arguably one of the best bikes in the world at the moment, so everything is there for us! It’s a real team atmosphere with equal amounts of focus on all of the riders (Jack Moir, Charlie Harrison and Nik Nestoroff), which I haven’t had in the past." 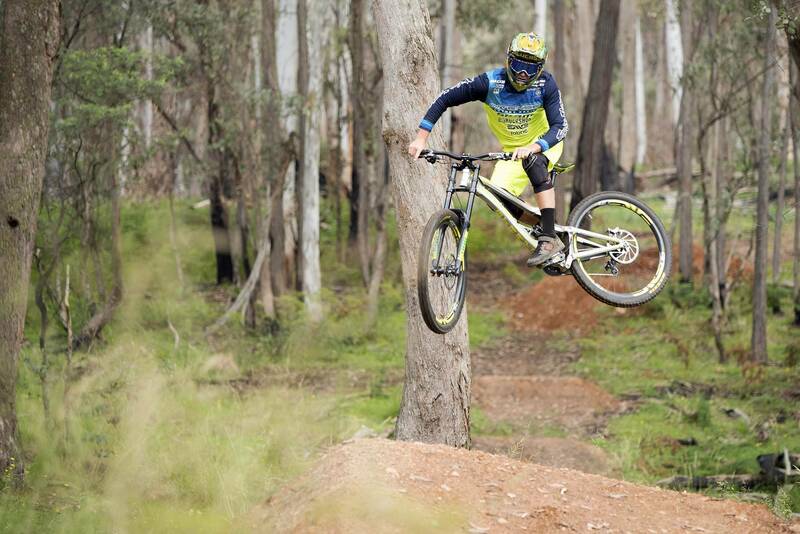 MR: How did the transition go with riding the new Intense 29er Downhill bike? Did you spend anytime practicing on it? DL: "We tested it in January 2017 at the team camp and we liked it, but we didn’t really get any time riding it after camp. They made some changes and I jumped back on it on the first day of practice at Fort William World Cup (June 2017) so it was a bit like jumping into the deep end but I felt it was faster so it was my decision to ride it. I didn’t really know it at the time but the frame was a little too big for me, I rode a Large. I thought it was just big because of the wheels but the actual frame was too big for me. 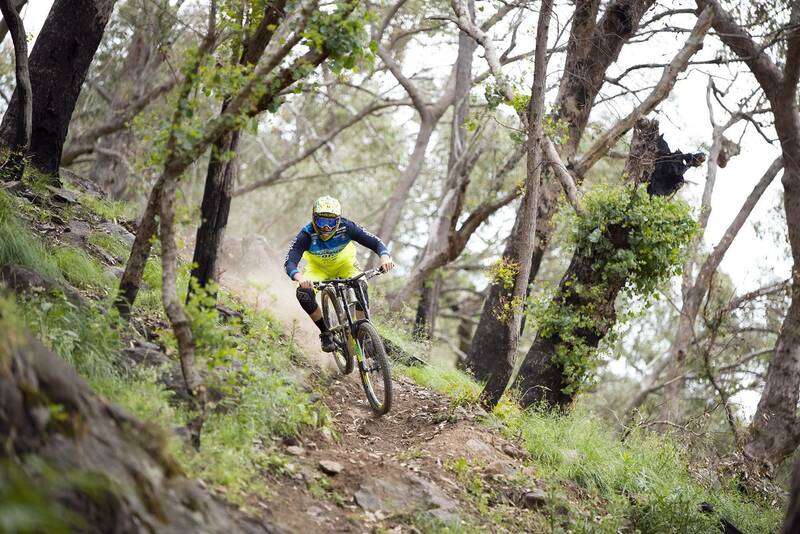 "Half way through the year I went back to a Medium frame, which instantly felt better. It was the turning point of my season, my confidence came back and I started getting good results again. I’m super excited going into 2018 having raced the Medium frame and will start the year with a new bike that I know gets me good results. Getting the right size paid off for Mt St Anne. DL: "Most people will say I came down on a dry run, but it had been raining all night and it was still super slippery when I raced, not taking anything away from all the guys who rode in the storm, they freaking killed it and it was obviously harder for them. I felt really good in my race, I made a big mistake up the top and I wouldn’t call myself a good wet weather racer so I was really happy with my run. It was a bit annoying to get pipped by the very last rider (Aaron Gwin) but I was still over the moon to be right up there in 2nd. MR: In hindsight, do you think it might be a little bit of a relief to get beaten at that race? 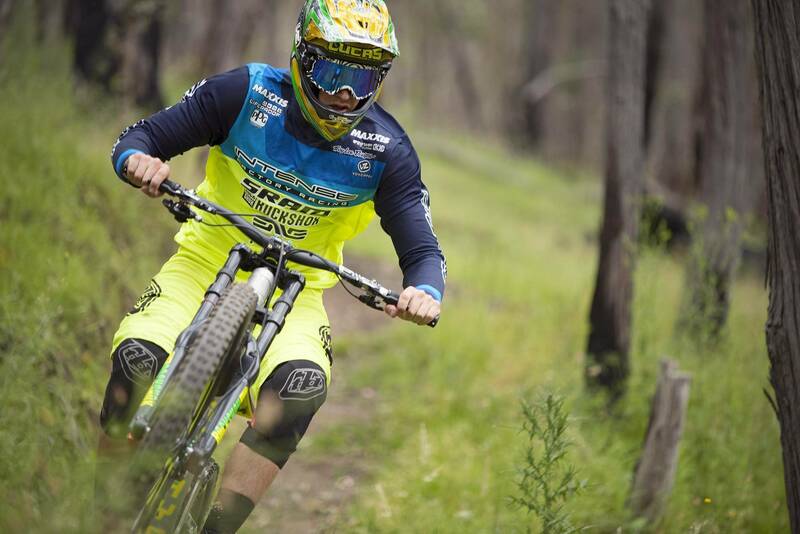 "I remember when Sam Hill came down Champerey in the wet in 2007 and placed 3rd. Everyone remembers that run as one of the greatest of all time yet no-one really remembers the winning run from that race, (Matti Lehikoinen won with a dry run before a similar storm turned the Champerey course into a mudslide for the top 30 qualifiers). "So for Gwin to have won the MSA race in almost the same situation will be remembered for years, to be apart of that is cool. 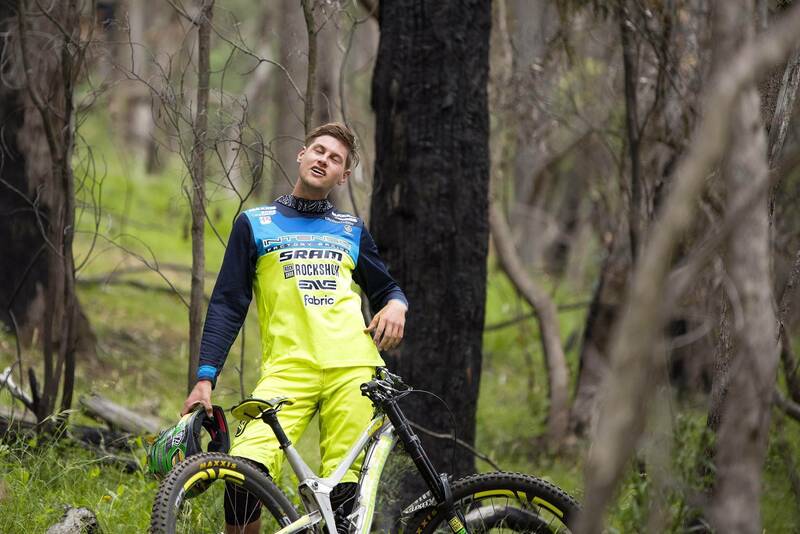 How Gwin won that race in those conditions is just crazy, he deserves it and I don’t know how he did it. 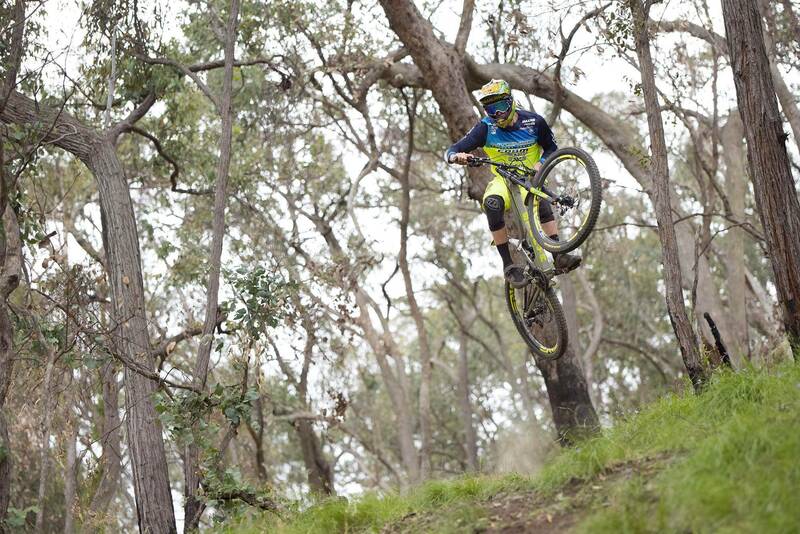 MR: You mentioned Sam Hill, has he been a big influence for you? 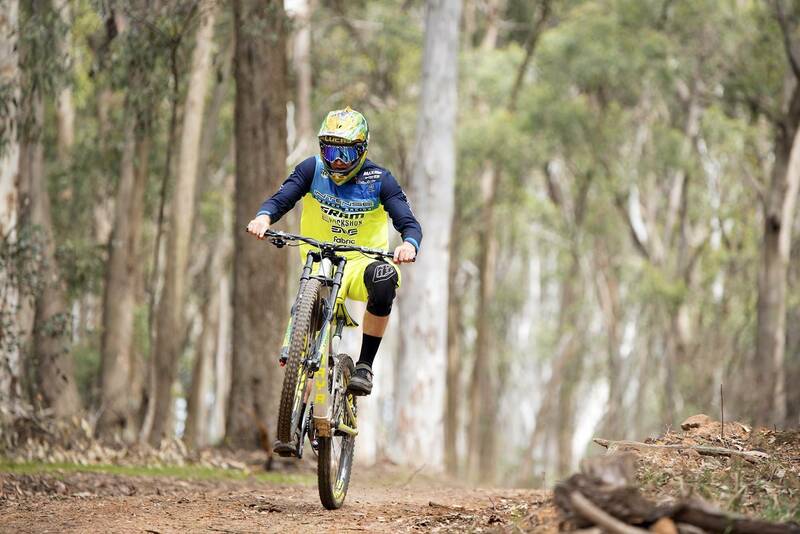 "I remember one afternoon when I was really young I watched Sam Hill’s section in The Tipping Point, got changed into my Troy Lee Designs kit, which was the same as Sam’s. I went out to my local track and pretended to be Sam and felt like I was riding better because I thought I was him. 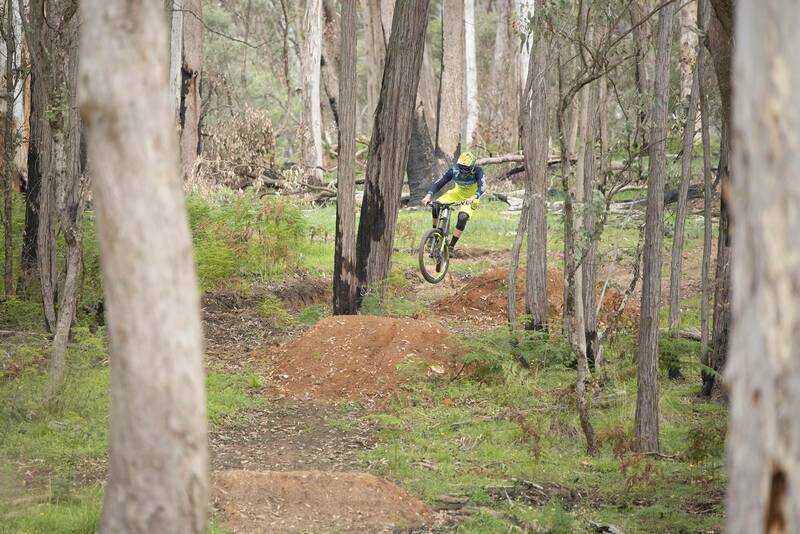 MR: Is that part of the reason you had Ollie Davis (An up and coming U15 shredder) up on your shoulders at the podium presentation at the last Victorian DH Series (VDHS) race in Narbethong? DL: "I’ve been watching Ollie for a little while now and want to help out a young kid to kind of coach and mentor, he lives in the same town as me and has a great attitude with a heap of natural skill for his age. I want to help him out as much as possible to grow as a rider and racer. He didn’t want to get up on my shoulders at first, but I convinced him after a while (laughter). MR: Take us back a few years to when you were teammates with Steve Smith. 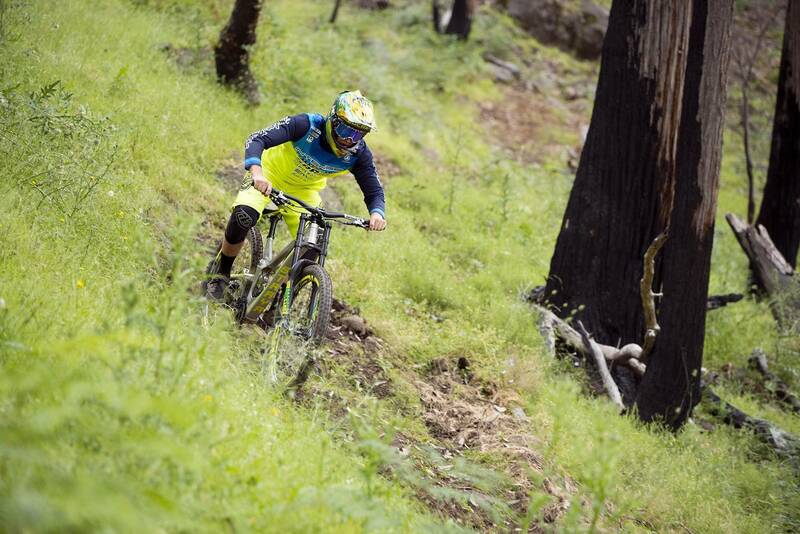 What was it like to ride alongside one of the best racers in the world at that time? DL: "It was great to have him as a teammate, I learnt a lot from him. He was a humble guy who was relaxed and didn’t take it all so seriously, he was World Cup champion (2013) and he did it all with a laugh and a smile. It was cool to see someone at the top and who still had fun whilst doing it. MR: The Aussie summer is coming up, have you got any plans to ride any of the local races before the 2018 World Cup season begins? DL: "I haven’t done a lot since racing World Champs in September, just relaxing, eating junk food and not really thinking about racing. I entered Round 1 of the VDHS just as a bit of fun and I had so many young kids approach me saying how much they look up to me and were congratulating me on a good season. "That motivated me to go to more of the local races. I wasn’t planning on it but after seeing the reaction from the young people, it was the first time I really felt like people wanted me to be there. After January I’ll be back into training full-time ramping up for the 2018 season. 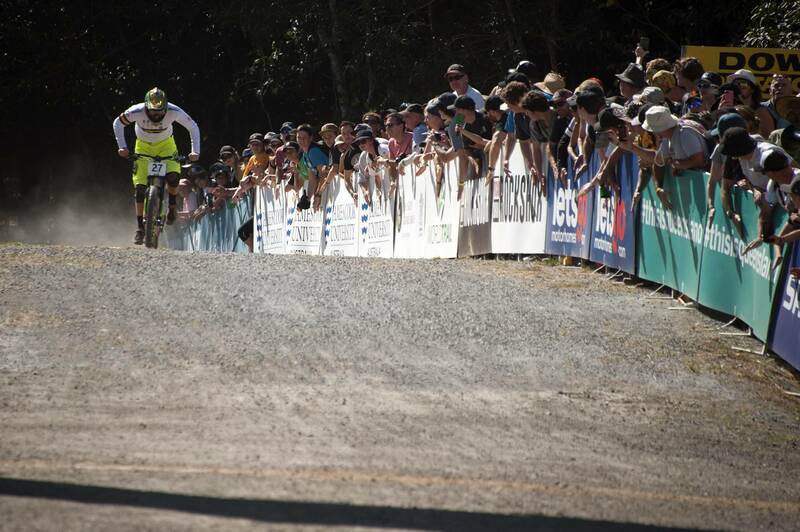 MR: This track that you’ve built here not too far from your house, is it a World Cup racers training track? DL: "Yeah, it’s a huge weight off my shoulders, especially for qualifying at the first round of the year; you don’t know where you’re at or where anyone else is at. So being protected allows you to go as hard as you want without worrying so much. You’re still going to be in the main show so it takes the nerves down a lot. 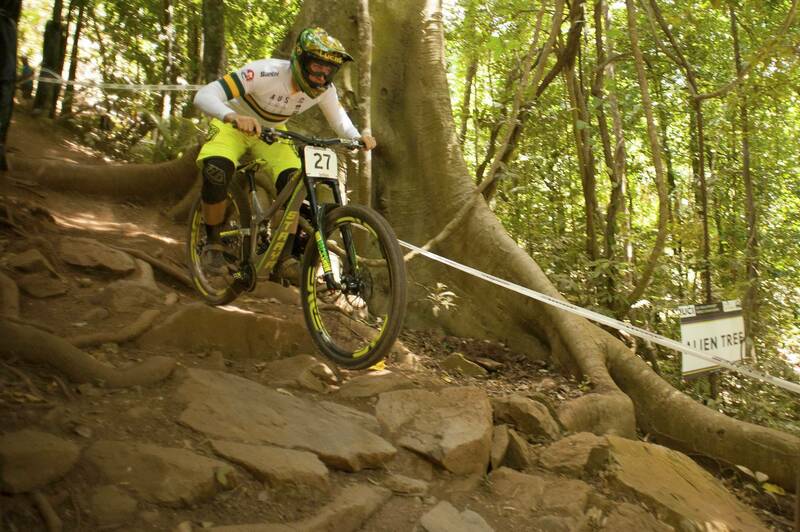 MR: After Round 1, the UCI have changed the rules so that there are only 10 (down from 20) protected riders and 60 (down from 80) qualifiers in Elite Men, what are your thoughts on that change? DL: "I think having 60 qualifiers is better because that will allow more TV time for the top racers, but it is a little annoying knowing that if you have a stupid crash in qualifying that you probably wont make it to the final. I think the top 20 protected riders was good but at the same time it’ll make you train harder and go faster and you won’t have to worry about it, you’ll be in the top 10. MR: Well, good luck with 2018. Anyone you’d like to thank? DL: "Everyone for all of the support over the years and the continued support from Intense Cycles."